Have you organised a Dogs Dinner yet? It's in aid of the fantastic Hounds for Heroes. All you do is invite some friends around and ask them to donate what the meal is worth! Or if you're a famous chef you could always make a TV documentary about it too... or host a Bark-a-que, or create a pop-up restaurant in your home that is super dog-friendly? Or how about an afternoon tea with pup cakes and cup cakes? Do you want to know the back story? It's all in the latest edition of Dogs Today - click here to buy! You may vaguely remember the day the news announced the 300th soldier to die in the Afghanistan conflict. 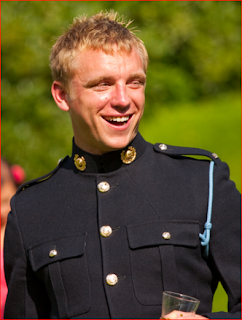 But to Robin and Jen Hollington, their son - Royal Marine Richard - wasn't just number 300. Richard had been very badly injured in an explosion in the Helmand District and had died in hospital back in Britain with his family at his bedside. He was only 23 years old. Richard died on 20 June 2010. His commanding officer said he was "one of my finest" and had "lived as a lion". He donated his organs to save others. There are no words anyone can say to lessen the blow or to bring him back, and when people wanted to show their respect, Robin and Jen asked not for flowers or kind words on cards, but instead for something more practical. They opened a Just Giving page. Robin explained, "We'd probably cry over the words of each card, but nothing practical would come out of it. We'd always raised money for charity, so it seemed obvious to set up a fund. "People we only vaguely knew started organising events in Richard's name. The 300 figure was obviously significant to the press, so his death got a lot of coverage and it reached people who had long lost touch with Richard. The 300th death is obviously no more significant than any other when it's your son or husband, fiancé or girlfriend, but the press coverage meant that lots of people were moved to do something." There was also a coincidence of geography. The Hollingtons lived just a mile and a half away from Hounds for Heroes founder Allen Parton, whom they met during the 2010 Poppy Appeal launch event for the Royal British Legion. As I've already discovered, pretty much everyone seems to know Allen! The Hollingtons are dog lovers; they have had a couple of Flat Coats and recently a rescued Springer and a Sprollie. Robin had been a Royal Marine, too - so Allen and Endal's story was always of interest to the family. 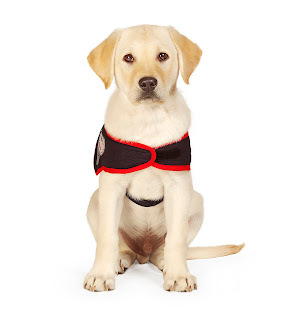 It became obvious that one of the charities they'd raise money for would be Hounds for Heroes. A beautiful Labrador Retriever, one of the first ever squadron of Hounds for Heroes pups, was named Yomper Richie or Yomper, after the Royal Marines slang describing a long-distance march carrying full kit. Funding for his whole life's care and training was provided by Commando 999 (former Royal Marines now serving in the Emergency Services) who raised the £20,000 from donations raised as they 'speed marched' through London last year. You'll have seen Yomper's lovely face shining out of photos in the Mail on Sunday and the waggy bundle of fun has also appeared on the TV news. But until now you probably wouldn't have known the story behind his name. "I resigned from my job after Richard died," said Robin. "Something like this makes you think about what's important and I chose to start my own business. But, more and more, I found myself drawn into fundraising. I recognise it's probably my coping strategy, but it certainly keeps me occupied." That is, of course, an understatement. In the last 21 months, almost a quarter of a million pounds has been raised in Richard's name. But Robin has set his sights on raising substantially over a million pounds per annum, with a different fundraising idea and a different charity each month of the year. It all kicked off with people like Danny Gavin, who had played football with Richard more than a decade before, when they were 11 years old. They lived in different areas and had drifted apart, but when he heard of Richard's death, Danny decided to climb Kilimanjaro. As a young school teacher, Danny soon realised that all his mates were on similar salaries and no matter how much they tried, they could never raise that much money - so he came up with another idea: a heroes mufti day in school where the pupils nominated their hero and dressed like them. The idea spread to 30 more schools when Robin spotted that this was a brilliant concept that could roll out much further. He even got David Cameron to endorse it. This year it is hoped many more schools will take it up; details can be found at www.heroesday.org.uk. The Heroes Day provoked discussion in classrooms about the difference between a hero and a celebrity, and pupils turned in some amazing essays about their personal choices, which Robin would love to pull together into a book. It was obviously a winner and a perfect fit for Help for Heroes. It made sense to have a heroes quiz on the same day, and the British Legion was enthusiastic about joining in with a themed quiz night in its centres (www.heroesquiz.org.uk). There are plans for a Sing for Heroes, with a national karaoke night (some 500 simultaneous karaoke events) in aid of Royal Marines Association. He's also working on Dogtober, Manuary, Fabruary and Sextember - don't ask! Robin has so many amazing ideas - he would love to do fundraising full-time and has the amazing idea of getting corporate sponsorship of the organisation side of things so that 100 per cent of every event he organises will go the charities. With that in mind, he would love to hear from potential philanthropic supporters who would see their sponsorship very highly leveraged each month. Which brings me on to the one most relevant idea to us: the Dog's Dinner. It's a bit like a national Come Dine with Me with a charity twist. 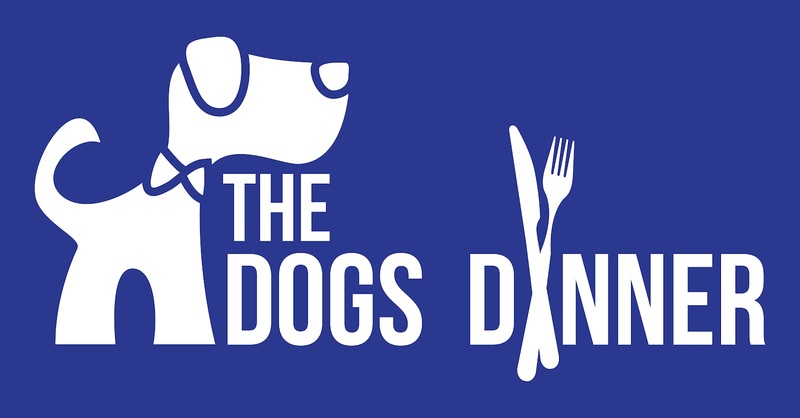 Visit http://www.the-dogs-dinner.com for how details of how to get involved. Basically, you either open a restaurant in your home or local hall for the night - or you invite some friends around for dinner and instead of scoring points, you ask them to pay whatever they think the meal is worth and give the money to Hounds for Heroes. Robin is hoping for a celebrity chef to get involved with some suggested recipes, or for local restaurants to open their doors to the concept. He'd also love a TV company to get involved. Overall, he is looking for 1,000 simultaneous dinner parties, with an estimated average of six guests, with each hopefully donating £20 or more to raise more than £120,000 over two nights - enough for a whole Hounds for Heroes recruiting intake to have their whole costs covered. Of course, an enterprising Peter Cruddas might be able to organise a single dinner party, raising double that amount. I'd like some of our readers to consider going that extra yard and perhaps putting on a dinner for dogs and owners. Or even an afternoon tea for dogs and owners. 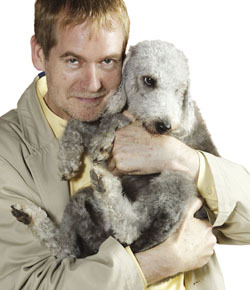 I still fondly remember Ian Dunbar's birthday tea where humans and dogs tucked into species-appropriate cakes and snacks. Get your thinking caps on and tell us what you plan to do to get behind the Dog's Dinner. You've got a little while to plan, as it will be on 14 and 15 September. 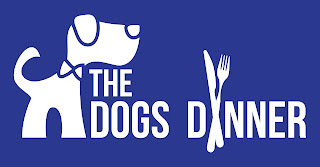 We'll keep reporting on the Dog's Dinner and let you know what events you can take part in - it would be great if dog training clubs could organise a special night - maybe have a Dog's Dinner Party with games and quizzes. Let us know what you dream up and we'll list your event free of charge if you'd like to attract extra people along. I admit I was quite nervous about talking to Robin. I think we all agonise about what to say to someone recently bereaved. But talking to Robin was surprisingly inspiring. He's so practical; he was absolutely sure he didn't want an over-sentimental article that the press often likes to write. I asked if anything he had done had helped him cope with the loss and he recalled something a colleague had said to wife, Jen. "When the 100-year-old widowed Queen Mother was asked whether the grief ever diminished over the years, she replied, 'No, but you get better at dealing with it.'" Robin is obviously a man on a mission, one he didn't ask for. I'm sure we all wish him well and will want to help him succeed. Fittingly it is Memorial Day over in the US. Our thoughts are with all those lost here and over the pond.